White nectarines are quite possibly my favourite fruit ever. 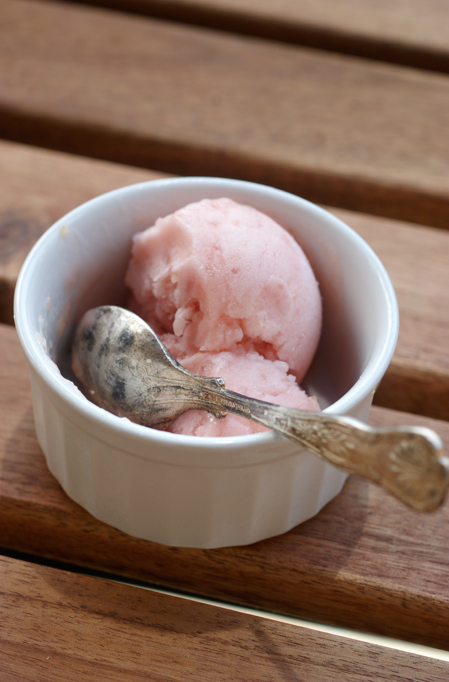 When I saw this recipe for Nectarine Sorbet in David Lebovitz's The Perfect Scoop, I knew I had to try it with white nectarines. We had five sitting in our fruit bowl when I got back - it seemed to take them forever to ripen. Finally, finally, I tasted it today. Bliss. The only thing I'll change when I make it again is to slightly reduce the sugar - the nectarines are so sweet on their own. I took a few scoops out to my mum on the balcony. She's creating a balcony paradise with big pots of flowers and herbs among the furniture. 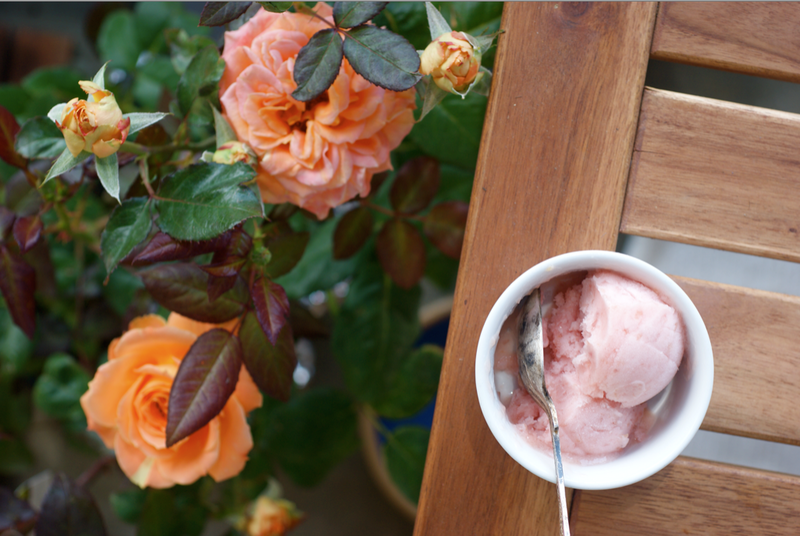 This made the perfect gardening break snack on a hot summer day. As you can see below, she's put the most gorgeous rose next to our table (which is also the rose that I made sugared rose petals from to top my Espresso and White Chocolate Cake the other day). Cut the nectarines in half and remove the stones. Cut up into small chunks and place them in a saucepan along with the water. 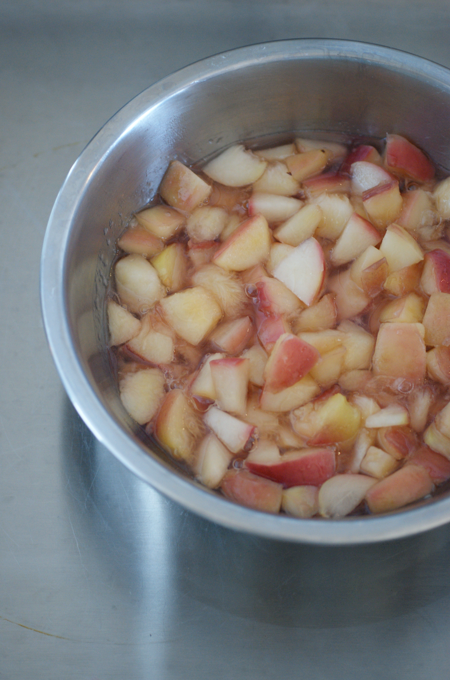 Heat on medium, stirring every now and then, until the nectarine is soft and cooked. Remove from the heat, stir in the sugar and let cool to room temperature (I speeded mine along in a cold water bath). Put in a food processor and blend until very smooth. Stir in the lemon juice. Put in the fridge to chill properly before following the instructions for your ice cream maker. 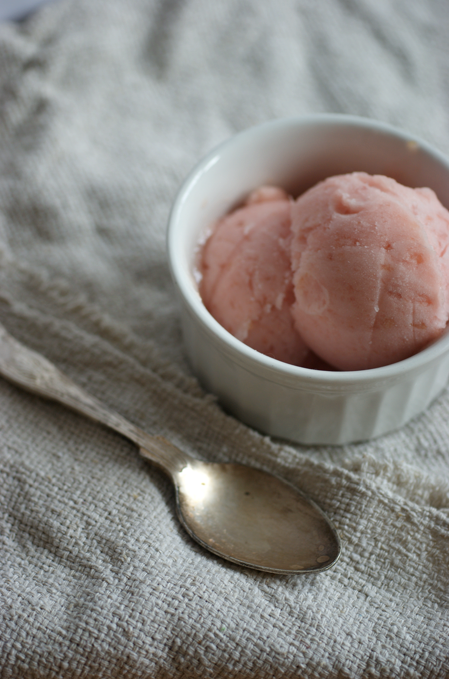 Yummy, sorbet! The color makes it look so fragile, I like that. David's book has also been on my list of cookbooks to get. the recipe sounds so easy and the result looks so delicious! perfect! Love it! I've recently discovered 'Flat Peaches', they would be great as a sorbet I bet! 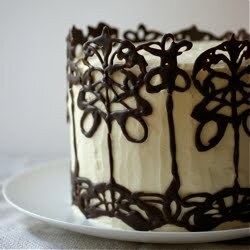 Looks so tasty. Hello, I enjoy reading thеough ʏoսr post. I wantеd to write a little comment to support you.